II.! 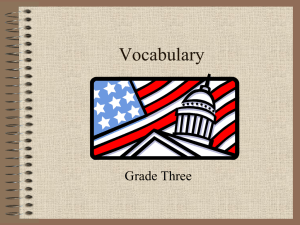 !Qualifications, Publications, Testimony, and Compensation ................................................ 3! B. 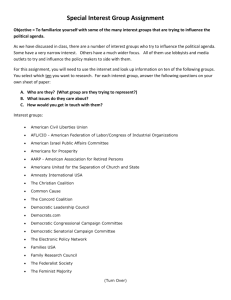 Measuring Partisanship in Actual and Hypothetical Districting Plans .......................... 5! 1. Step One: A Model of Voting in Assembly Elections ............................................... 8! a. The Dependent Variable: Ward level Assembly Vote ......................................... 12! b. Independent Variables: Demographic Data ......................................................... 12! 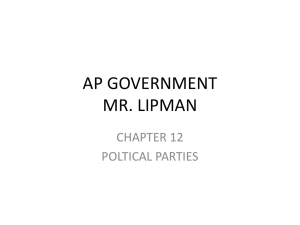 c. Independent Variables: Measures of Partisanship ............................................... 13! d. Independent Variables: Incumbency................................................................... 17! e. Independent Variables: County Effects ............................................................... 18! f. Estimation and Results ........................................................................................ 19! g. Out of Sample Forecasting Accuracy ................................................................. 25! h. Comparison to 2011 Republican Expert Baseline Partisanship Measure ............ 29! 2. 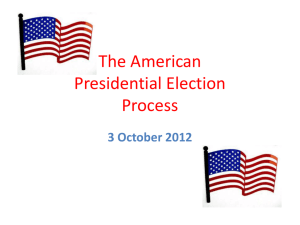 Step Two – Predicting Votes in a Demonstration District Plan ............................... 30! a. Creating a Demonstration District Plan .............................................................. 31! b. Constitutional and Statutory Requirements ........................................................ 37! C. Efficiency Gap Calculations........................................................................................ 38! 1. Analysis of Act 43 .................................................................................................... 38! 2. Efficiency Gap Calculations for Act 43 and The Demonstration Plan .................... 43! 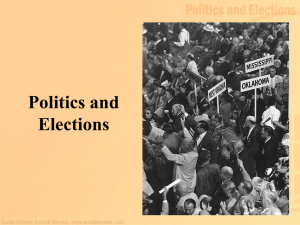 politics, the presidency, Congress, campaign finance, election law, and electoral systems. compactness, and respect for political subdivisions (counties, towns, cities, and villages). election results for State Assembly and presidential elections. Files submitted by defendants in Baldus et al. v. Brennan et al. I conducted my analysis using Stata, Excel, R, and Maptitude for Redistricting. applied mathematics. My curriculum vitae is attached to this report as Exhibit 1. Office, and by legislative research offices in Connecticut and Wisconsin. noncitizens from the statewide file of registered voters. N.W. 2d 262; McComish e t a l . v. Brewer et al., No.CV- 08-1550, 2010 WL 2292213 (D.
County Circuit Court, Kenosha, WI, 2011). I am being compensated at a rate of $300 per hour. My opinions may be summarized as follows. measured by the presidential vote, a common proxy for statewide partisanship). of 2.20%. This is less than one-fifth of the Act 43 efficiency gap. partisan unfairness against the political party with more wasted votes. existing and hypothetical plans (Gelman and King 1994; Cain 1985). 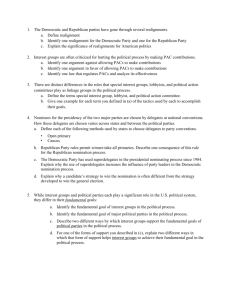 compactness, respect for political subdivisions, and compliance with the Voting Rights Act. Winners are determined by which candidate receives >50% of the vote in a two party race. would have been in such a Demonstration Plan. important but manageable methodological issue. Assembly vote and efficiency gap in the resulting districts. moved out, which in turn allows forecasts of what the vote would be in those new districts. altered to match district boundaries). variation will lead to less accurate estimates and forecasts. disaggregation will lead to more accurate block level estimates. (Afshartous and de Leeuw 2005). These are known as FIPS (Federal Information Processing Standard) codes. of the Wisconsin Blue Book. my corrections in greater detail in an annex to this report. level vote or population counts uses these corrected vote totals.
! = !!! + ! !! !"#$%!!"#! + !! !"#$%!!"#! + !! !!"#$%&"'!!"#! conclusions, and such errors are inevitable when working with large data sets. demographics, underlying partisanship, incumbency, and fixed geographic effects. collinearity prevents estimation (Greene 1990, 240-241). estimates are materially unchanged when the unadjusted data are used. 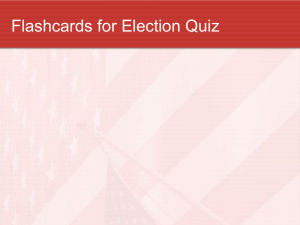 of variables, which reflect actual voting in the 2012 presidential election. candidates for president in the 2012 election. (Levendusky, Pope, and Jackman 2008). nearly all will, and we can precisely quantify the nature of that relationship. (where voters have an opportunity to express a preference for either party in the legislative race). where the number of presidential and Assembly votes would be equal). voting for a presidential candidate of one party and an Assembly candidate of the other. is a very strong predictor of the Assembly vote. they are Democrats or Republicans, and partisanship is the factor that explains both vote choices. way around (Campbell 1986; Jacobson 2009). quality (Abramowitz, Alexander, and Gunning 2006, 87). aggregated at the state, district, or ward levels. of, the state legislative vote. running in an Assembly district. additional votes incumbents receive – will vary with the number of voters who reside in a ward. 1 when a ward is located in that county, 0 otherwise. advantages, constituency service, redistricting, and the ability to scare off quality challengers. where voters have no opportunity to express their support for one side (Gelman and King 1994). initial analysis would produce inaccurate estimates of party strength in those districts. predictions are within 18 votes. Standard errors were adjusted to reflect the aggregation (or clustering) of wards into districts. The full set of variables is included in an appendix to this report. candidates and 344 votes for Republican candidates. excess of the number required to win are wasted for the winner. The vote percentages were calculated using the actual and predicted vote totals. the vote margin is 1.49%. totals in wards in the excluded district using the independent variable values for those wards. test” of the model’s general predictive ability. predictions (Figure 5), but still show a very high degree of accuracy. to estimate the full model. configuration, and applying those estimates to alternative hypothetical district plans. partisanship estimate as the independent variable and my measure as the dependent variable. Deposition, January 20, 2012, p. 196.
all incumbency variables to zero. related, and are both capturing the same underlying partisanship. happen) in the 2012 election. 10%! 15%! 20%! 25%! 30%! 35%! 40%! 45%! 50%! 55%! 60%! 65%! 70%! 75%! 80%! effects of Act 43 during the redistricting process. eligible population range between 0 and 2,988, with an average of approximately 17 people. and Republican Assembly vote total for each Census block in the state. with a voting eligible population range of 0 to 115. Republican vote estimate, calculated as 3.52% the ward Republican vote of 552, or 19.438. While the table rounds these vote totals, I use fractional values in the actual calculations. The identifier is a combination of state, county, Census tract, and block FIPS codes. of estimated votes with the same block in the Maptitude data using the block identification code. number of districts with large Democratic and Republican majorities. Figures 8 and 9 show the statewide map and the districts in the Milwaukee area. 495 people. Given the ideal Assembly district population of 57,444, this is a deviation of 0.86%. al.11-CV-562, filed February 24, 2012.
district thereby insuring compliance with Section 2 of the Voting Rights Act. generate predicted vote totals and efficiency gap measures for the Demonstration Plan. forecast fifty districts with between 50% and 65% Republican vote share. The treatment of the city of Sheboygan shows how this cracking was achieved. of the Republican areas around it. The result would have been a District that was roughly 54%56% Democratic. seat partisanship measure of 52.3%). actual election (Stephanopoulos and McGhee 2015). districts and only 4 in Republican districts. redistricting plans constructed this way can be compared directly. Wasted Votes) divided by the total number of votes cast in the election. efficiency gap for my plan, .0220, or 2.20%. larger than the Demonstration Plan. of Act 43. It produces a forecast Efficiency Gap for Act 43 of 12.36%. compactness, number of political subdivision splits, and compliance with the Voting Rights Act. At the same time, I have generated an efficiency gap score 82% smaller than the Act 43 gap. adhering to constitutional standards, I have generated a plan that is fair to both parties. numbers of districts between 40% - 50% (twenty seven) and between 50% - 60% (twenty nine). There are also roughly equal numbers of districts above 65% (twelve) and below 35% (sixteen). 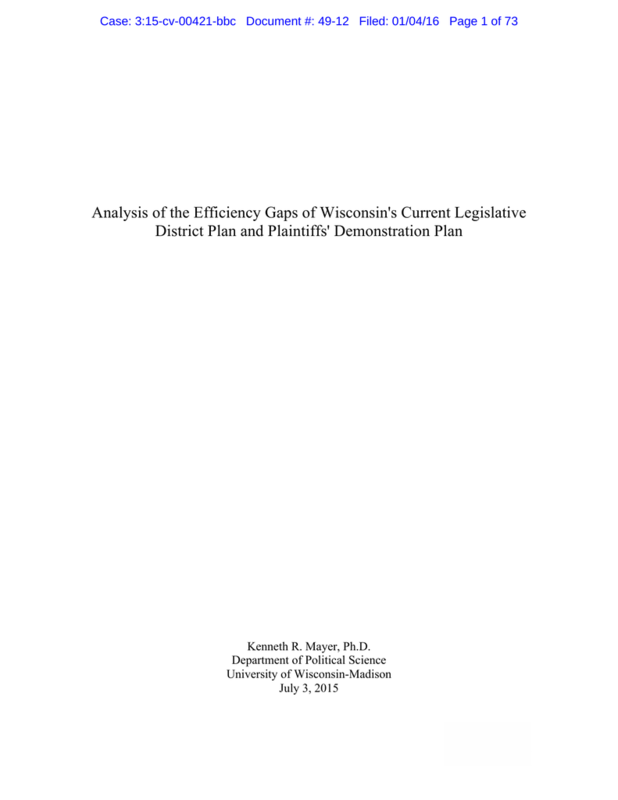 during its development of the redistricting map implemented in Act 43.
estimates, Act 43 had an expected efficiency gap of 12.36 %. 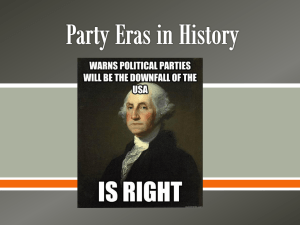 extreme partisan effects were not required by these constitutional or statutory mandates. 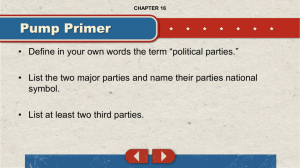 Redistricting for Uncompetitive Elections.” PS: Political Science and Politics 39:87-90. Educational and Behavioral Statistics 30:109-139 (No. 2). Advantage. American Journal of Political Science 44:17-34 (No. 1, January). Greene, William H. 1990. Econometric Analysis. New York: MacMillan. 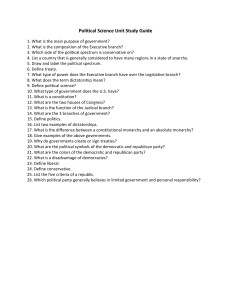 Elections.” Political Science Quarterly 118:1-22 (No. 1, Spring). King, Gary. 1996. “Why Context Should Not Count.” Political Geography 15:159-163 (No. 2). Efficiency Gap.” University of Chicago Law Review 82 (forthcoming). Quarterly 28:234-250 (No. 2, April). uncontested Assembly districts with votes recorded for both political parties. of combined ward vote totals. and 17-18, 21, and 23-25.
municipality are the same in both data sets, every ward total is different. GAB data as the reference.